The upcoming Marching Fire expansion for For Honor will include a new PvE mode called Arcade, playable solo or in coop. Get a first look with the screens inside. Update: trailer and gameplay walkthrough added. Köln, Germany — August 21, 2018 — Today, during gamescom, Ubisoft announced that For Honor® Marching Fire™ will include Arcade, a new PvE mode that offers unlimited content and infinite replayability. For Honor Marching Fire is the game’s most ambitious update to date and includes both exciting free content, with a brand new PvP mode, Breach, and a number of new features and game enhancements, as well as a paid expansion. The update will launch on October 16 for PlayStation®4 computer entertainment system, the Xbox One family of devices including Xbox One X, and Windows PC. Arcade introduces a whole new way to play For Honor, either solo or in two player online co-op. In Arcade, players fight battles that feature increasingly challenging waves of enemies with different objectives and modifiers, offering infinite replayability with new challenges every time. This quick play mode is the perfect chance for all players to explore new Heroes and level them up before taking them into PvP, with all rewards earned during this mode carrying over to multiplayer. Players who own Marching Fire will also be able to invite any friend to join them in co-op, even if that friend does not own the Marching Fire expansion. Seasoned warriors who own the For Honor base game can now pre-order the Marching Fire expansion for $29.99, available as a digital edition only, which grants access to Arcade and, at launch, will immediately unlock the four new heroes from the new Wu Lin faction (the Tiandi, the Jiang Jun, the Nuxia and the Shaolin). 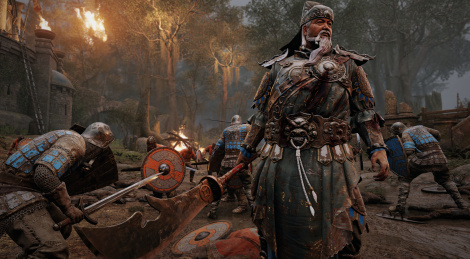 Players who pre-order the Marching Fire expansion will receive the exclusive Wu Lin pack, which includes 1 Elite Outfit for all Wu Lin Heroes, valued at 28,000 steel (a $25 value). All players will be able to recruit the new Wu Lin Heroes using in-game Steel after the initial early access period, as well as access the 4v4 castle siege mode, “Breach”, for free. Additionally, all players will benefit from free graphical enhancements that will improve the in-game textures, introduce a revamped lighting system and new sky gradients and also provide further quality of life improvements including an updated user interface and a new responsive dialog system. Newcomers who want to jump in now can download the For Honor Starter Edition for free and keep it forever on Steam between August 22 at 10.00am PST and August 27 at 10.00am PST. The For Honor Standard Edition is also part of Xbox’s Games with Gold and is available for free for Xbox Live Gold members until September 15. For more information, check out: http://news.xbox.com/en-us/2018/07/26/new-games-with-gold-for-august-2018. Developed by Ubisoft Montreal in collaboration with other Ubisoft studios**, For Honor offers an engaging campaign and thrilling multiplayer modes. Players embody warriors of the three Great Factions – the bold Knights, the brutal Vikings and the deadly Samurai – fighting to the death on intense and believable melee battlefields. The Art of Battle, the game’s innovative combat system that puts players in total control of their warriors, allows them to utilize the unique skills and combat style of each hero to vanquish all enemies who stand in their way. For more information about For Honor, please visit forhonorgame.com and follow us on Facebook at facebook.com/ForHonorGame and on Twitter at twitter.com/ForHonorGame. 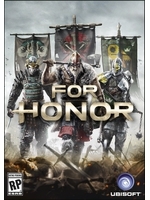 For the latest about For Honor and other Ubisoft games, please visit news.ubisoft.com. *Associate Ubisoft studios include Quebec, Toronto and Blue Byte. Additional development from Studio Gobo.